Arrive at Delhi you meet and greet by our representative , after welcome drive to Dharamshala in Car and stay in respective hotel. We provide Texi Service for you from Delhi/Chandigarh for himachal tour. We offer Shimla Taxi service for transfer from Chandigarh to Shimla, Kalka to Shimla, Chandigarh to Manali and Shimla to Manali. 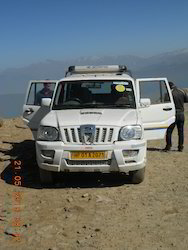 We also offer taxi service in Manali and from Manali to Leh. We offer point to point pick up and drop service across Himachal Pradesh. Taxis can be hired for complete round trip of Shimla, Manali, Dharamshala, Dalhousie, Katra and Amritsar. From our wide consignment, we are affianced in supplying Tata Indigo Rental. Kashish Tour & Travels is known for offering the most luxurious Car Rental Services to the tourists. Being the most reputed Car Rental Agency in Shimla, we offer our services in the most professional manner. Pick up and drop in the luxurious cars like Sumos, Qualis, Tavera, Innova will make up your travel more enjoyable. Dev Bhoomi “Himachal :- Himalayas in Himachal’ or one must say Himachal in Himalayas. ‘Him’ in Hindi literally means ice or snow and ‘alaya’ means home, which makes Himalayas ‘The Home of Snow’ and from there Himachal gets its name meaning ‘Land of Snow’.